a quiet day . . . Here it is, almost the official day of Spring this week, and it’s gently sleeting outside. One of the heaters is on the fritz downstairs (we have geothermal heat pumped up from a well underneath the house) and sometimes the compressors of the individual units decide to act up. It’s the vagaries of living in a complex of living units that needs to be tuned up just like pianos, some of the time. I’ve been experimenting with cooking rice, Japanese style, as introduced to me by my daughter, M., who lives in Minneapolis. She gave me the idea of mixing different kinds of rice and keeping a rice cooker humming so that dollops of rice can be had any time of the day, even for breakfast with a soft-boiled egg on top. After trying different combinations including chicken broth, I think my favorite mix at the moment is half Chinese sweet rice (sticky) and half Lundberg’s short grain brown rice. I heat up some dashi broth and add about four short bursts of Ohsawa soy sauce. Mix it up and add twice the amount of broth as rice. Turn the cooker on, and soon afterwards, I can smell fragrant steam rising from the pot. Yesterday for lunch, I had a small bowl of rice along with one preserved salted duck egg (from the Asian market) and a few pieces of pickled cucumbers. Satisfying, simple and low in calories. Last night, I cooked a dish I made up combining pieces of raw shrimp, minced green onions, baby spinach, stemmed and sliced beaten into fresh eggs. I heated up a skillet with grapeseed oil and made small pancakes with shrimp, spinach and onions in each patty. Turned them over when crisp and served with a dipping mixture containing oyster sauce, Japanese seasoned vinegar, a little soy and a tiny bit of agave nectar. Bowls of the sticky rice with these crisp shrimp and spinach fritters and some pickled cucumber made up our table. Filling and enough flavor to satisfy our appetite. Sometimes, I also add fresh bean sprouts and fresh cilantro to the shrimp mixture. Good both ways! Afterwards, I came across the Schubert four-hand Youtube clip that I appended to the last post. G. reminded me of another piano duo, Anderson and Roe, that we have enjoyed listening to in the past. Their arrangement and rendition of Michael Jackson’s song, “Billie Jean” is fun to watch and listen to, as is their playful outdoor medley filmed at a Texas University campus. My life seems to revolve around food and music. I guess that’s not such a bad thing, is it? The other day, I heard about a recipe for making huge black pepper and gruyere popovers from an Austin, TX restaurant clip on the Food Channel. I’ve written about making popovers earlier and can’t wait to try these out, served as a meal with a salad. Maybe I will make them as the main feature for Easter dinner, along with an arugula endive salad with glazed walnuts and pink grapefruit segments. Yum! This all sounds so delicious! I am ready to get back to preparing simple, tasty, and healthy meals after a difficult several months of being unable to do so–I think I will just use your food blogs as my weekly meal planner! I am late to work now, so will need to look at the clips later today, but am particularly interested in the “Billie Jean” rendition. I was never a MJ fan, but absolutely loved David Cook’s version of the song. PS: It is beautiful sunshine and blue sky here today, finally! This does sound delicious, and so very healthy! I’m anxious to read about your popovers! I hope you stay warm; I’m sure you are ready for spring! Nice to hear from you, Beth. 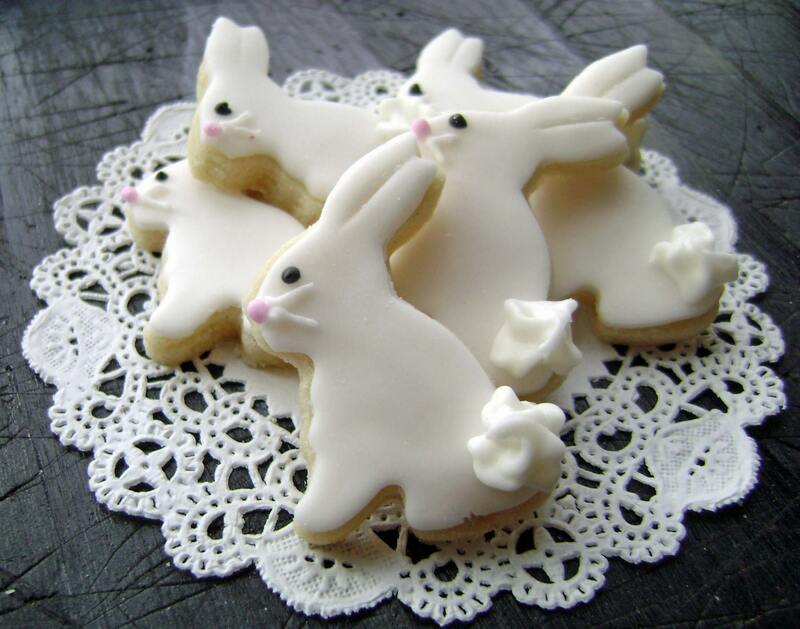 Are you going to make bunny cookies with your grandson for Easter? Thanks for your comments ~ I’m anxious to try out the popovers too and will write a post about them if we have them in the next couple of days. 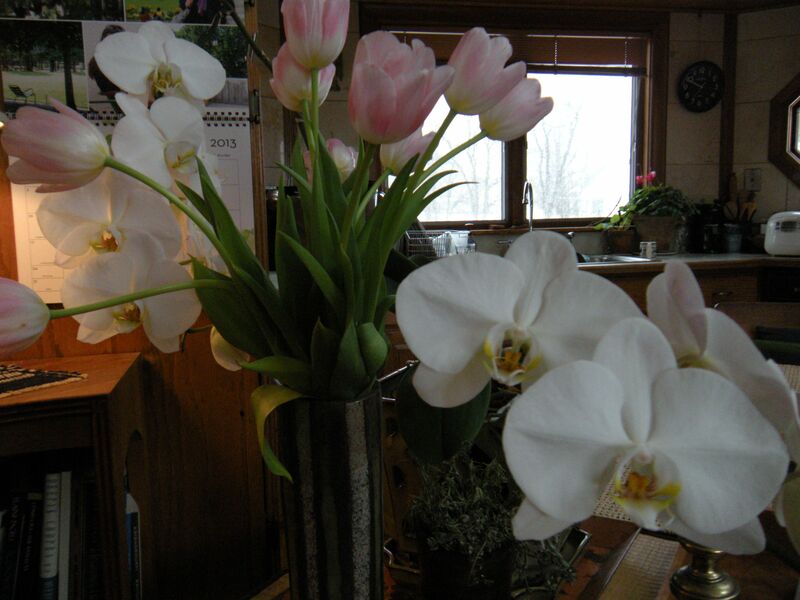 Maybe we’ll have them to celebrate Spring! We usually make Jello eggs at Easter, and he likes to make and decorate cupcakes so we may do that. I have several egg shaped cake pans and they are fun to bake and decorate, too. Do you have a special meal that you like to make at Easter? It was wonderful–I thoroughly enjoyed it. Might even have to order the album! And I also love gruyere cheese–use it in my spinach-shitake bread puddings, as well as a 4-cheese spaghetti so can’t wait to hear how the popovers turn out. I am headed to historic Natchez tomorrow for a couple of days, and then on down to New Orleans. Historic architecture and good food and music–what more can you ask for? Those are the cutest little bunnies, ever! I would have to keep them in my freezer and never eat them!